Thank you very much for your kind remarks to last Sunday’s post. I was a bit surprised that not that many people seemed to know about the Wine Century Club, something that I have obsessed about for a good year now…but before that, I also had no clue. Let me tell you a bit more about it. 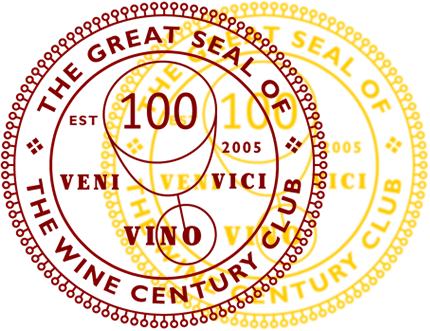 The Wine Century Club is an honors-system based club. The sole goal of the club is to encourage people to think outside of the box when buying or ordering wine. The “century” in the name refers to 100. You can only become a member, once you have tried 100 different grape varieties in wine. Membership is free and all it takes is mailing in a form (which you can find here), on which you ticked off the grapes you have had. It is optional to provide the names of the wines you had the grapes in. The Club was started and is currently headed by Steve and Deborah DeLong, who also publish great accessories to wines on their own website (the tasting sheets I use are from that website). The Club states it has roughly 1,250 members and they come from all over the world. There are now local chapters which meet to experience new wines and new grape varieties. From its website, the Club does not look overly active, but trust me, last year’s version was quite out of date. So there are definitely things happening. And now to my own experience with going through the hoops. March of last year, I decided to give Nina an application for her birthday and promise her to take this journey together. We initially ticked off a number of grapes that we had in Germany and that I knew I had in the past, but that only got us to 30 or 40 or so. It really is much more difficult to reach the 100 than you imagine. There are definitely ways of shortening that: Anatoli over at Talk-a-vino reported of a wine that had over 100 different varieties in it. According to the rules, this would get you over the top with just one sip!! (Yes, blends count!). If you remember, the wine that got me over also was a blend of almost ten different varieties that are virtually non-existent anywhere. But there we were: We had had some crazier grapes like Kerner or Scheurebe or Silvaner or Johanniter or Ortega or Cabernet Cubin or Cabernet Mitos or Dornfelder (ah, the bliss of living in Germany! ), but we still were quite a bit away from the magic number. And that is were the fun started. We realized after a few months that when we went wine shopping, we expanded our horizons by actively searching out wines that were made with grapes that we had not tried yet. It became something of a hunt, and a good hunt it was. We tried a lot of new wines, some good, some not so much. Initially, it only mattered to tick off that box. But then, gradually, we became aware of how much more exciting, more fun, and more educational it is to try these grapes that no one ever heard of. It made us more aware of why we like some grapes, and it helped us understand what does not work for each of us in other grapes. By trying more variety, we experienced a greater appreciation for the world of wine. There is so much more out there!! I don’t want to over-hype this, but it was so much fun. And it was so good to have started this. We all know how we can get stuck in our own wine ways, be it Chardonnay, Cabernet Sauvignon or Riesling. We are all creatures of habit, reaching for what we know when we cannot make up our mind. The Wine Century Club encouraged us to reach for the other bottle, for the new variety, for an adventure…and it was so worth the ride. It has taken us about a year (Nina is still three grape varieties shy of the 100 mark, but we have three wines here that will get her over the top). There was no need to rush anything. We have decided to stay on the journey that has given us so much pleasure. We’ll keep our lists, and we’ll keep expanding it. Because once you’ve started looking around, it is hard to stop. This was our journey. Why don’t you begin your own quest to join the club today? I am looking forward to you sharing your journey!! I’m printing this now! I’m at around 35, but I’m going to start from scratch and take notes. So excited. Thanks for sharing this! Oh, this is so exciting!!! Thanks for stopping by and good luck on your journey, but mostly: Have fun!! Drop me a line once you’ve made it to 100! Thanks for posting this information! Very informative. I had no idea this club existed. It appears that I will have to give this a shot… seems like a fun challenge! It is definitely worth trying out! the wine you mentioned with more than hundred grapes (152 as advertized by the wine itself), Giribaldi Cento Uve (here is the link to my post: http://talk-a-vino.com/2012/07/31/study-of-grapes-152-at-a-time/) can NOT be used alone to reach the first level, but it can be used after all to get you further. And to identify the grapes, you have to play a “grape detective”, as I call it – spend time with Wikipedia and various books and web sites to try to identify if the grapes are new, or just represent the other name for the grape you already had (Tempranillo is an excellent example of that). Congratulations for your first hundred, and keep going! Oliver, absolutely! I hope my comment didn’t came out as negative – I just only wanted to mention the club was trying to make sure that the fun of journey will be protected : ), so you can’t become a member with one sip : ) I’m so behind in my writing schedule… Have lots of new grapes to report on – hopefully it will come out soon! Isn’t it funny how sometimes the writing just flows and other times it is so hard to sit down and write. I am still puzzled by how that works…I am looking forward to your next posts. Im happy to report that i have started my journey from scratch with a friend and it discovered Poulsard (also Ploussard)from Jura !!! Hahaha, awesome!!! :) I am excited for your journey! Thanks for sharing. You jut gave me a new goal !! Awesome post, Oliver: thank you so much for this review, very informational. And congrats to you and Nina on making it to 100! As I tried to point out, the fun really is in beginning the way to get there. If we had had the 100 when we started, it would have been half the, no a tenth of the fun. So, take your time, and enjoy the journey!! As always, thanks for your kind words. Well, like I said I think you just gave me the right motivation to try and go for it! I will have to stop procrastinating and actually figure it out, though I may be disappointed in my initial count, but we shall see. One thing is for sure, I do enjoy trying wines, so it will be a pleasurable endeavor. Once again, congratulations. Congrats on the Century Club! I think this could be a very fun experience…especially since it leads to so much wine drinking. How did you beat Nina to the finish? A couple of years of more drinking…age has its advantages. :) There were a few obscure wines I had in my past that Nina hasn’t had a chance of trying. YES! Anyone can join!!! There are quite a number of Europeans. :) Come join!! Yeah, one of the harder things to do is figuring out which grapes exactly went into a wine. I wish the wineries and importers were a bit more forthcoming on that. But also, for the sake of the journey or quest, you might want to make sure you are below 100 so you can actually experience the fun of getting there (consciously). I just downloaded the excel sheet but I can’t figure out how to check the box next to the grapes that I’ve drank. They recommend to use the excel sheet but the pdf version seems to be much easier to use. Which one did you use? I’m so glad I know about the WCC now!! I spent half of Sunday filling obsessing over and filling out my membership form. Thank goodness I keep good records of wines I’ve tasted in CellarTracker! I think I’m somewhere around 80 varieties. Love the concept . . . can’t wait to keep tasting!! Prost! That sounds like our first days of frenzy when we started the process…you are right, it is a great concept. Keep tasting!! Just started on this journey myself. Came across the wine century challenge. Looked at the form and realised I had about 80 varieties under my belt. As I had not documented the 80 varieties, I decided to start all over again. Formed a group and had our first session about a month ago. Worked our way through 8 varieties. Next tasting is soon and we have 12 lined up to taste. 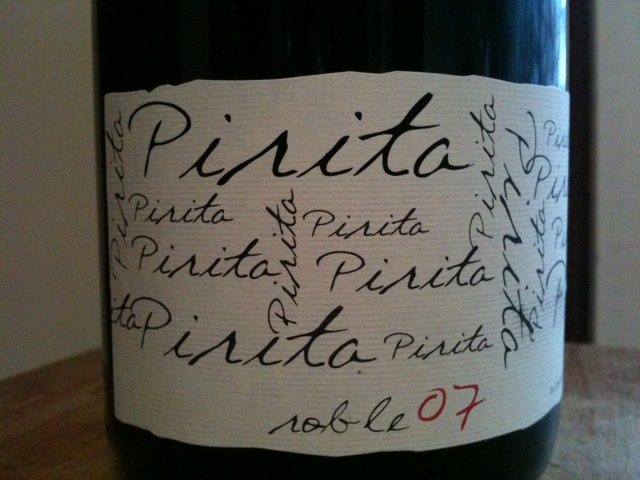 You are right, it can be very interesting to push the boundaries and try new wines. I have been following your journey and am enjoying it with you! Good luck and most of all: Keep having fun! Amazing!!! You’ve given me an objective and an excuse to offer my wife every time I haul another box of wine home. Two precious gifts. Thanks!! Hahahaha! Glad to be of service.